Sonoma State University took first and second place in a "friendly" wine mixology competition with Texas Tech. The schools dreamt up the competition to combat the toll that craft beer and spirits mixology may take on wine market share in the U.S.
"Wine can sometimes be perceived as a bit too snobby," says SSU wine business student Chris Harrison. "By crafting wine cocktails, we can appeal to the come-as-you-are beer and spirits followers." Students worked in pairs, developing a total of 33 wine cocktails. The six most creative were evaluated by a panel of experts, including SSU alum and Master Sommelier Ian Cauble, who was a subject of the wine documentary "Somm." Sonoma State students Laina Carter and Jessica Piel took first place, and the $200 prize, with a cocktail called Lavender Lady. Second place, and $150, went to students Itze Pena-Andrade and Miranda Aswad for their creation, Tasteful Blush (pictured). Texas Tech students Connor Hudspeth and Kady Augustus took third place for Mendoza Margarita. The idea was cooked up by SSU wine business professor Liz Thach and Texas Tech's Natalia Velikova. 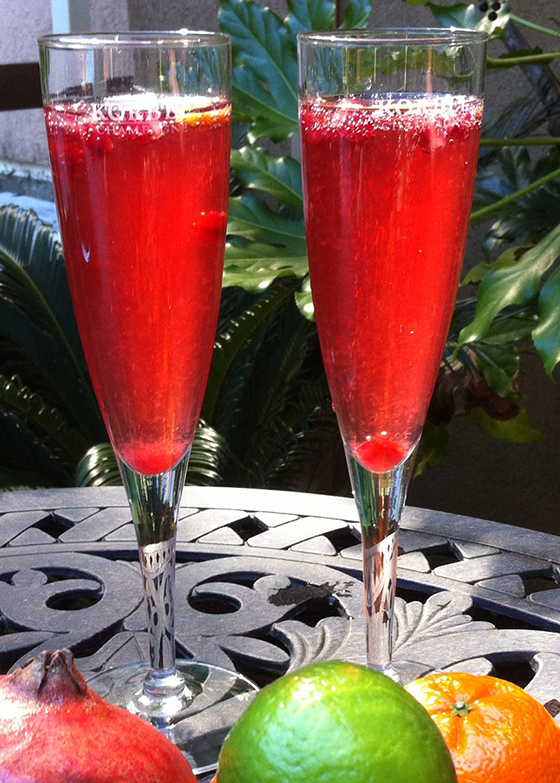 Recipes and stories of the drinks can be found at Thach's new wine mixology blog. Sonoma State University wine business professor Liz Thach, MW, is this year's recipient of the Santa Rosa Chamber of Commerce Excellence in Education award.